Moira Agius during her Artist in Residency experience in Wrocław. Moira Agius was the artist from Malta chosen for the Artist in Residence Programme Air Wro, a legacy programme of the European Capital of Culture Wrocław 2016. Moira is an emerging multimedia artist. Transformation, women’s rights and interculturalism are the main themes she focused on in Wrocław. Her residency was part of the Wrocław #ThinkUrban programme. As part of her residency in October 2017, Moira Agius attempted to explore the role of art in transforming, or at least, influencing the contemporary urban identity. 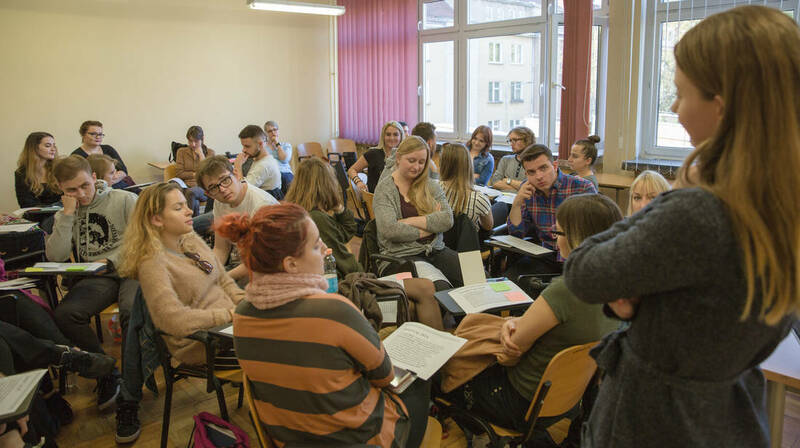 The objective of this research was to analyse the status of women in the context of religious communities inhabiting the Four Denominations District (Mutual Respect Area, in Wrocław. 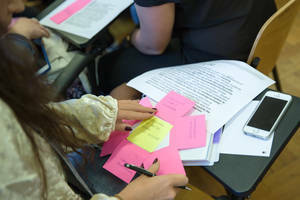 In light of the intense women uprisings, a number of meetings were held with women activists, artists and church representatives, to understand the local situation better from multiple perspectives. 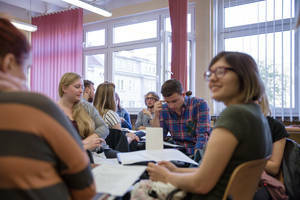 Eventually, a workshop was also held with the students of Culture Studies in the Uniwersytet Wrocławski, University of Wrocław, Poland. Throughout the workshop, the members were given several excerpts and images from Chapter 9 of ‘Artificial Hells’ by Claire Bishop, Pedagogic Projects: ‘How do you bring a classroom to life as if it were a work of art?’. In light of the national women uprisings and the increasing church influence, members were encouraged, using critical pedagogic methods, to reflect on initiating a project by becoming active producers of knowledge rather than mere consumers of a given literature. 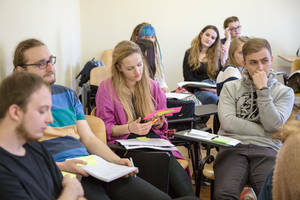 This research-based residency was a result of the cooperation between the Wrocław 2016 Office and Valletta 2018 – European Capital of Culture.